As soon as the LifeFlight doctors found us, they immediately went to work on Rachel. They took her out of my arms and put her in the tube that was on the other side of the room and started to level out her vitals. I wiped my eyes. I couldn&apos;t look weepy right now. This is when she needs me to protect her most. "She was shot twice, just over ten minutes ago. I wasn&apos;t here when it happened. All I know is the man who shot her, Ian Quinn, is actually David Hornblat. That is all I can give you." 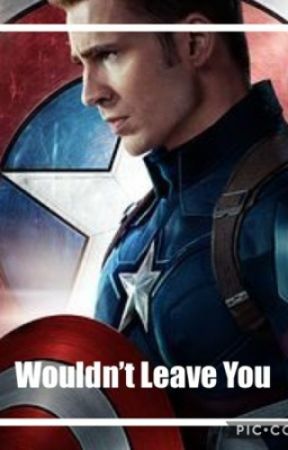 "Alright, that is good enough Cap. We are moving her now." one of the nurses said. They lifted her in the tube to the bed on wheels. They pushed her out and I followed. Once we got to the Quinjet, we all piled inside. I sat down next to Rachel&apos;s head. The whole flight I just stared at her perfect face. I wanted to tell her that I had feelings for her. But the time was never right. It never came up in conversation. Both of our love lives have had bad track records, so it was a topic we avoided. But now, I regret never telling her. She is quite literally laying on her death bed, and I may never get the chance to share my feelings. The Quinjet lands (pretty roughly might I add). They quickly get to work, getting Rachel into a room. I try to follow but a nurse holds me back. "Captain Rogers, you can not go in there. Please, just wait out here." she says. And I do. I wait, and wait, and wait. Finally, another nurse comes in. When I see her, I stand up. "Rachel has slipped into a coma. That much blood loss can do that to someone who has been through that much trauma." she says. "Is there anything I can do?" I ask. "Call he family, and get them here as soon as possible. They need to make a decision." "Whether to keep her on life support." she says, and walks out. I am still not very good with phones but at this moment, I try my hardest. I find Tony&apos;s number and press it. It rings twice. "Hello?" a groggy Tony slurs. "Stark, it&apos;s Steve. We have a situation." I say. "Well what is it Spangles? I&apos;m sure I can take care of it." he says cockily. Great, he&apos;s drunk. "Rachel was shot." I say bluntly as the tears start to assault me again. "They want a decision regarding life support." "God, Steve! Weren&apos;t you there?" he shouts into the phone. "Yes, but I couldn&apos;t help." I say, crying again. "Where are you guys now?" Tony asks. "The S.H.I.E.L.D. base an hour outside of D.C." I say. "I&apos;ll be there in an hour." An hour later, Tony shows up, keeping his promise. But I didn&apos;t know he called the Avengers. "Tony, how did you sober up enough to get here?" I ask. "Magic pill that JA.R.V.I.S. and I created. Takes excess alcohol out of the system." he says. Bruce pushes Tony aside. "Steve, Tony. Do you want me to take a look at her?" he asks. "Yes, please Bruce." I say. "Yeah, I&apos;ll help you out Bruce." Tony says and they leave. When they are out of sight, I put my head in my hands hiding my face. "Steve, this is not your fault. You did the best that you could do." Natasha says, putting a hand on my shoulder. "But it is. It is my fault because I wasn&apos;t there. I was outside." I say. "Why were you outside?" Clint asks. "Because this was a test mission. Rachel is my supervising officer and I wasn&apos;t allowed, I just had to..."
"Shadow." Clint and Natasha say together. "Steve, this still isn&apos;t your fault. You didn&apos;t pull the trigger. Alright?" Clint says. "Who pulled the trigger?" Natasha asks. "Ian Quinn, but his real name is David Hornblat." As soon as the name was out of my mouth, Natasha and Clint both freeze. "Really? Alright, I&apos;m going to kill the sick twisted son of a..."
"Nat," Clint cuts her off. "Is there anyone looking for him besides S.H.I.E.L.D.?" "Not that I know of, but I would check with Fury." I say. After that, we wait in silence. Then Bruce and Tony come back in. "Steve, we may have found something." Bruce says and I immediately sit up straighter and feel more focused. "I&apos;ll do it." I say. "What has he volunteered to do?" Natasha asks. 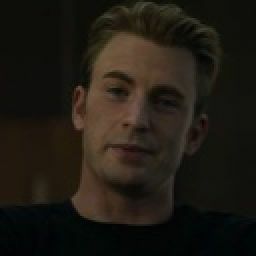 "Well since Steve has Super Soldier DNA he has fast healing. If we inject Rachel with his blood, she might exhibit the same healing to help her get better. She is somewhat stable, but her body just needs a push in the right direction. I think the blood will give her the nudge." Bruce finishes. "I&apos;ll do it." I say again. "Steve," Clint says standing up and putting a hand on my shoulder, "this might not work." "I have to try." I say. "Alright Steve, let&apos;s go take some samples." Bruce says, walking out as I follow. When we are done with samples. Bruce walks us all to her room. he gets us clearance and we walk in, surrounding her bed. I hold her right hand as Bruce injects her with my blood. When he pulls out the needle, her vitals steady out. And then they spike. Rachel starts choking on her breathing tube and arching her back off the bed. Everyone freaks out. "Clint, Nat! Hold her legs down!" Bruce yells. I just stand there, probably squeezing the life out of her hand and rubbing her hair back off her face. As quickly as the spazam started, it ended. Her vitals stabilized and she started to use the tube to breathe. "Her DNA has already started to form around Steve&apos;s. She&apos;s acquiring the trait of healing." he says. We all breathe in a sigh of relief. "We should probably clear out. Wait in the waiting room and tell the nurses what we did." Tony says. "According to her brain waves, she&apos;ll wake up soon." Bruce says. I sigh in relief. We did it. I step back so that people can say goodbye for now to Rachel. Clint takes her left hand and rubs it while Natasha kisses her forehead. "I&apos;m so happy it worked." she whispers. Tony takes her left hand and kisses it. Bruce just taps her leg. I pull up a chair and sit on her right, looking at her. Not in a creepy way, but staring at her like I am listening to her talk about her day at S.H.I.E.L.D., or about a movie we should see. I smile, remembering her tell me about a play that we should see. I think it was called Newsies, or something like that. I also remember my first day back from being unfrozen. She was so nice to me, helping me try to understand everything. I take her hand and hold it between the two of mine. A/N: Hey all! Sorry for the REALLY late update. My internet wasn&apos;t working so I couldn&apos;t work. I&apos;m so sorry. But thanks for 3k!!!! And over 200 votes!!! I am screaming!! My goal was to have 2k when I start the Winter Solder and I might get 4k! Wow!!! The support for this story has been so amazing! Winter Solder is coming soon. I have to write a few more chapters just to get the flow right. Thanks a million!!!!! Vote, Comment, Spread the Word, Enjoy! !